When it comes to digital marketing, social media has always one of the most effective channels. 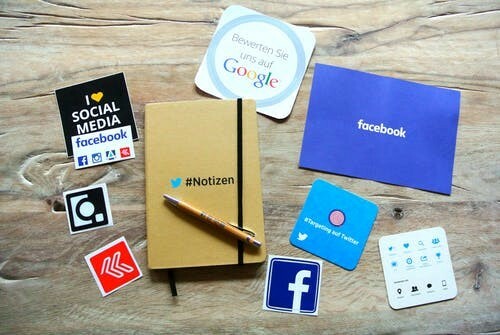 If you think about it, how many people do you know that do not even own a single social media account? Every single one of us uses a social media account, however to varying extents. Social media has created a powerful marketing tool as it allows businesses to instantly share their brands information to millions of users instantly. A substantial portion of any company’s customers and leads are present on social media, irrespective of audience, industry and segment. This applies to Generation X, millennials and even the elderly too. Having online access to all of these potential customers can not only help a brand boost traffic, but also its overall image as well, and this holds particularly true for new site content. Whenever you create fresh content (a new product launch, for instance) it will take time to conduct a proper SEO (search engine optimization) campaign. As a result, it will take a lot of time before Google finds the page sufficiently impressive enough to place it in its top ten search results for that product category. Furthermore, such organic searches will mean that people from all over the world will end up at the site and this will enhance your global reach. However, a strong social media presence will provide a great opportunity for the general public to be able to find your fresh web content on their profiles, which they might click through, to the company or product website, itself. This will also help your link building efforts and other digital marketing strategies, as these platforms will allow you to target millions of people. Since these posts will primarily show up in the extended feeds of social media followers of that product category, as well as the people who are interested in the same. Therefore, it is almost axiomatic to assume that such traffic will typically be very targeted indeed. In a nutshell, this will not just boost the traffic numbers to the site, but at the same time such feeds will also help bring in the type of visitors that the brand actually wants to attract. This is widely reckoned to be one of the foremost benefits of social media marketing. 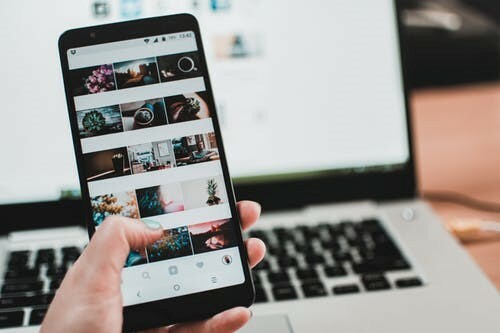 Social media influencers (SMIs) generally have a very large following when it comes to their social media accounts and profiles. They keep these followers up beat and motivated via engagement though constructive dialogues and knowledgeable blogs and posts. If you can quote such SMIs on a regular basis and get them on board by encouraging them to share your links, the odds are the target market will start following your social media presence as well. Furthermore, if a typical SMI profile has a few thousand followers, it is almost certain that your message would be seen and heard by many, if not most of them. The key attraction of Facebook, Twitter, and Instagram for the average social media user is that they are perceived to be exactly what they are: Viz. Social networks, not just marketing machines. This means that using the typical ‘run of the mill’ ‘hard sell’ approach, such as new product announcements, discount offer codes and customer reviews may only bring in modest traffic gains. However, the average social media user is almost certainly going to trust his feed (since it generally consists of fellow peers, family and friends) a whole lot more than any mass media activity. If the brand goes the extra mile to engage individual customers by actually “talking” to them rather than selling their products, they will then start trusting the brand a whole lot more than any other company that spends millions on AL and BTL campaigns but does not have a trust based relationship with its target audience. In the light of the above, we can safely conclude that having a social media presence has become a bonanza for many net savvy marketers who have able to tap into social media and thereby gained results with far less resources then required for mass media activities. Social media, if utilized properly can be worth a whole lot more than even a prime time advert on mass media. Thus, making it the ideal ‘bang for the buck’ for just about any well thought out marketing plan. Sohail Rupani is a senior SEO strategist at PNC Digital, an Orlando Web Development Agency. He specializes in SEO and SEM techniques. He is passionate about technology and loves to analyze the tech industry in his spare time to stay in touch with the latest happenings. He also writes technical articles about SEO and digital marketing. Follow him on Twitter for updates.